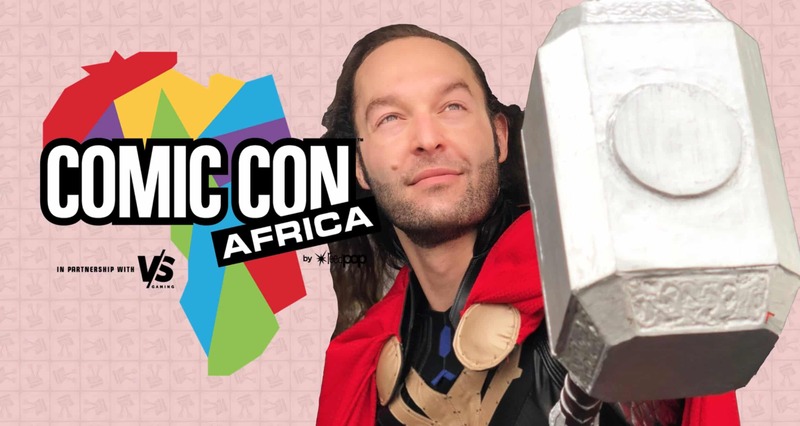 The first Comic Con Africa has come and gone. The Vamers crew spent two days at the expo. The first in normal clothes, and the second in cosplay. 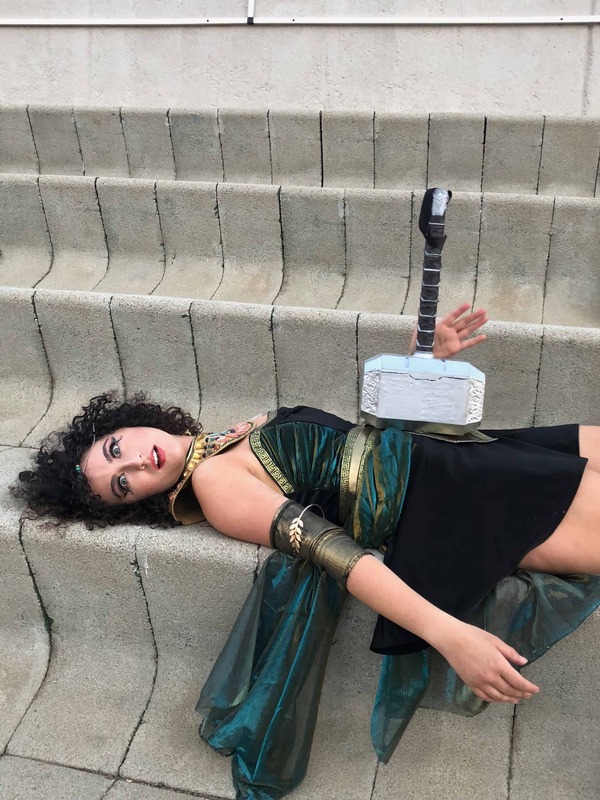 I dressed up as a T-Rex (stay tuned for a future article all about my experience), Dani went as Tomb Raider, Edward was Spider-Man, Diona was Cleopatra and Hans… obviously went as his look-a-like, Thor son of Odin. Thing is, unlike the other outfits, what is Thor without Mjolnir? 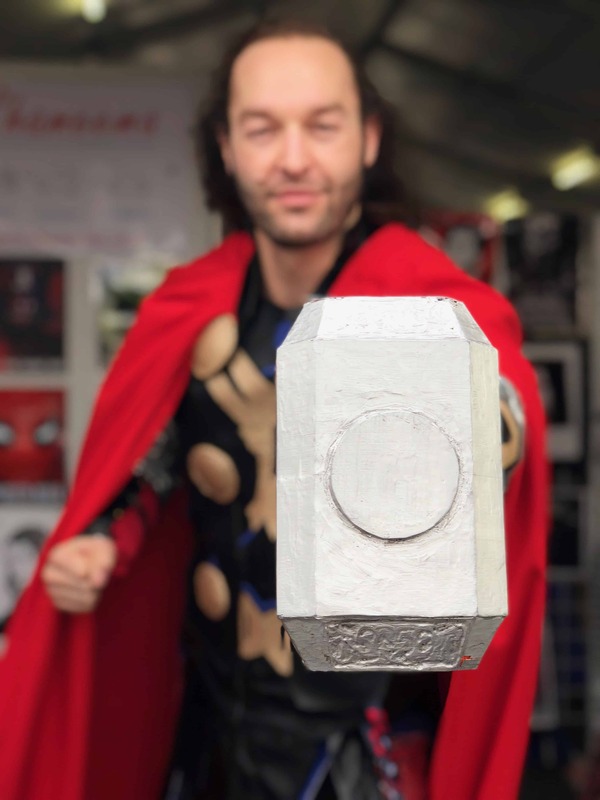 During the lead up to the event, Hans asked if I could help him build a one to one scale replica of Thor’s famous hammer, Mjolnir. You know, the one that was forged in the heart of a dying star. Unfortunately, I was all out of imploding stars. So I had to settle for a modern 3D printer and my good friend Kyle. To start, we used an incredible site called Thingiverse, which has thousands of wonderful creations and designs made for 3D printers. 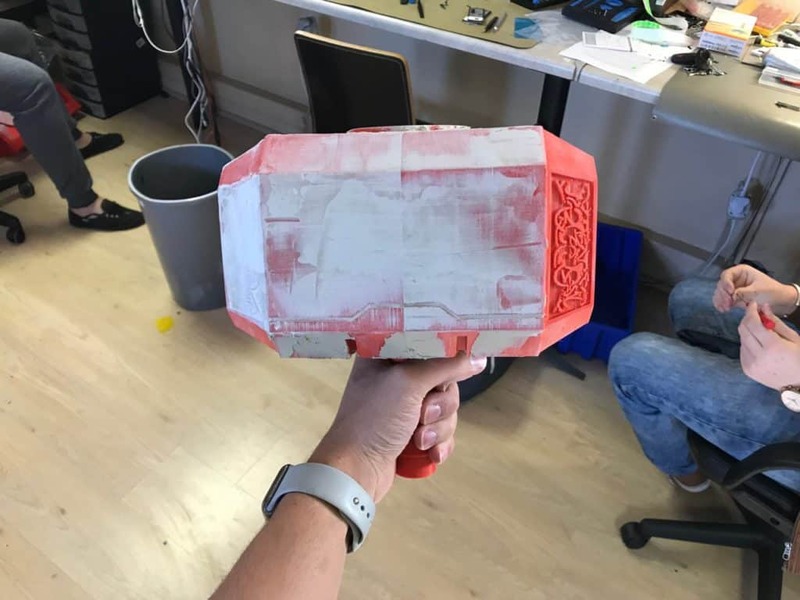 After some searching, we found a design by user Chaos Core Tech of a proper one to one scale design of Mjolnir; as seen in the Marvel movies. 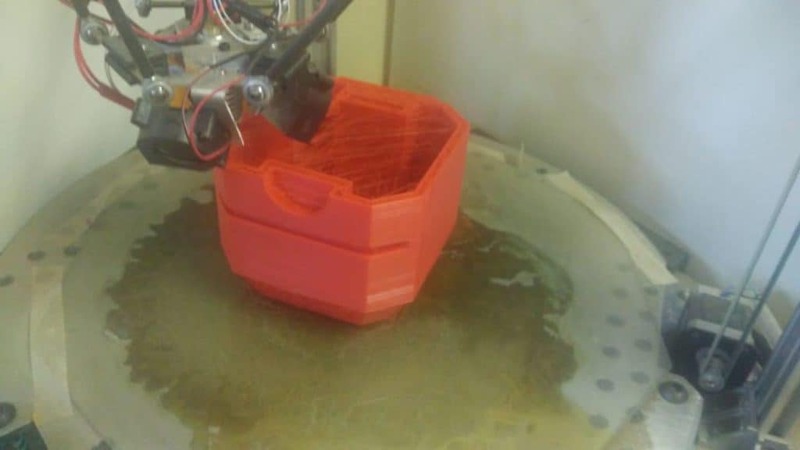 The entire print took just over four days to complete, with another two days reserved for sticking all of the parts together, and letting the glue settle. 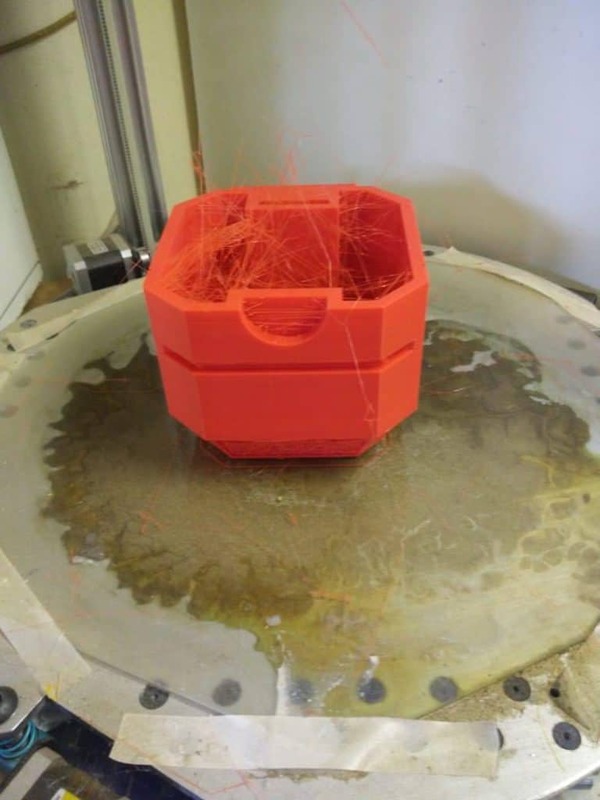 We found that the best glue to stick 3D prints together is a good epoxy. It is quick to dry and can be sanded down quite nicely. We then covered the whole hammer with filler. Once dry, we went to work with the dremel and a sanding wheel in order to get it smooth and like the texture of metal. 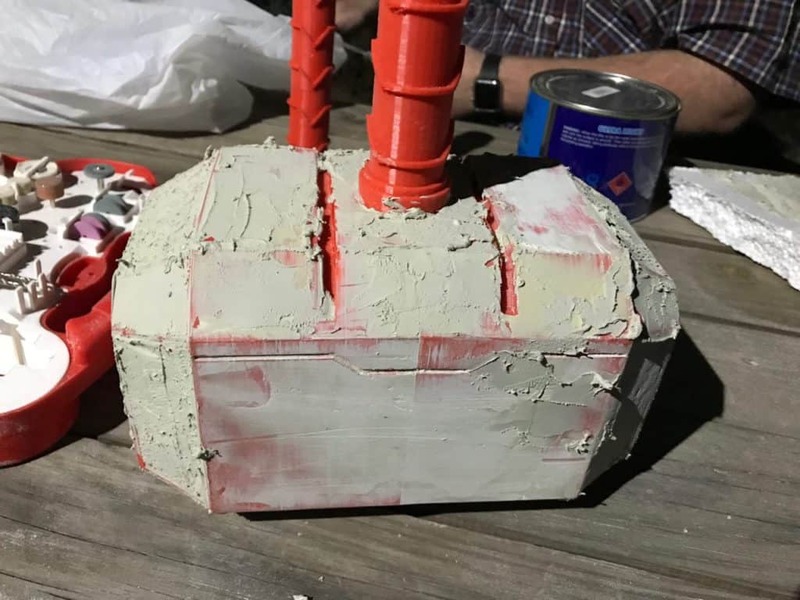 This took another two days to get done, and with Comic Con Africa quickly approaching, we began to feel the urgency of getting Thor his hammer. 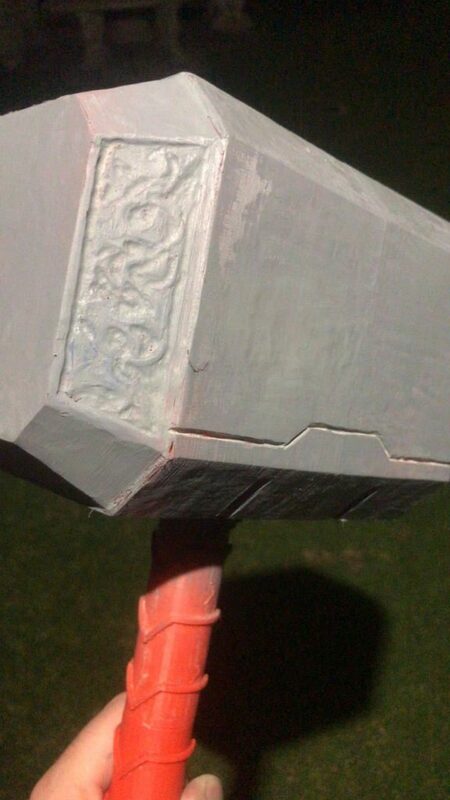 We did not actually smooth the head of the hammer completely, rather we left some filler on the hammer to give it a weathered and used look. 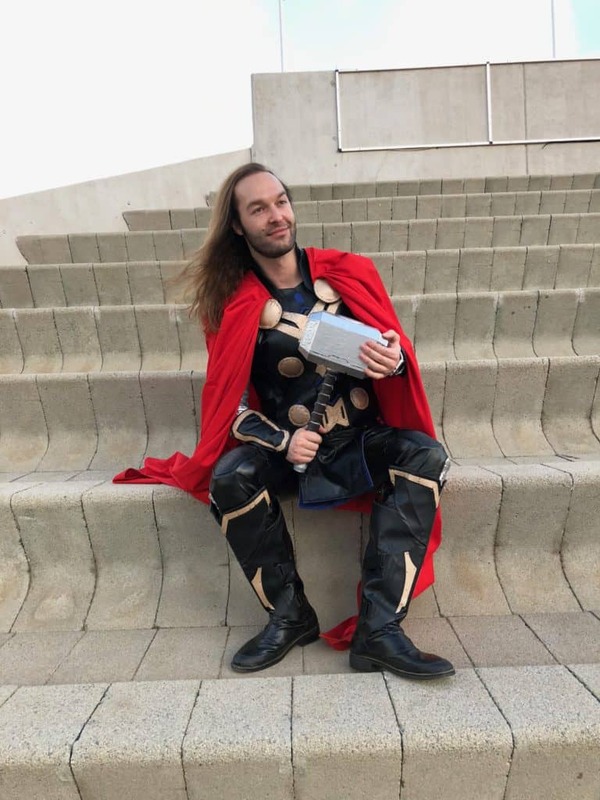 After all, we all know that Mjolnir does not just sit in a case and look pretty. It is meant to bring the hurt to anyone in its path. Painting the hammer was by far one of the best and most fun parts of this build, and it was also the quickest. We first put down two layers of primer to help the paint stick to the hammer. 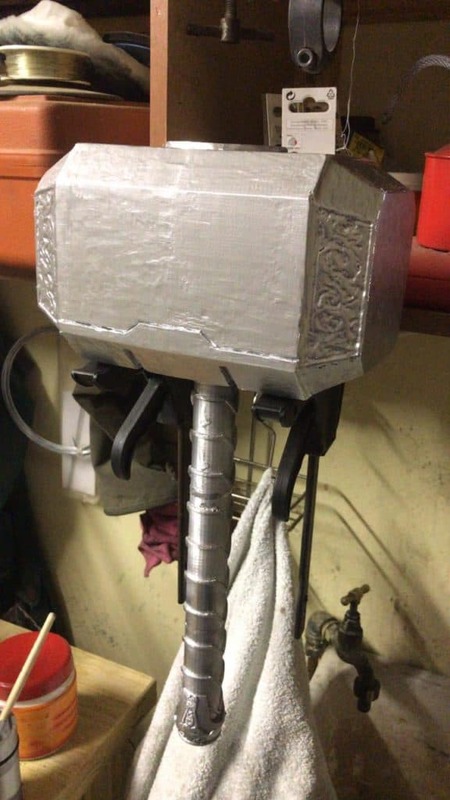 Thereafter, we gave the whole hammer a few coats of silver paint to give it that nice shiny look! We then weathered it with some dark coloured paint and also used a cloth to give it the hammer those metallic striations that metal often has (think aluminium). Once the colour was right, it was time to move on to the handle. For the handle, we knew we were going to wrap it in brown pleather (faux leather). However, Mjolnir in the movies has a real nice pattern on the handle. 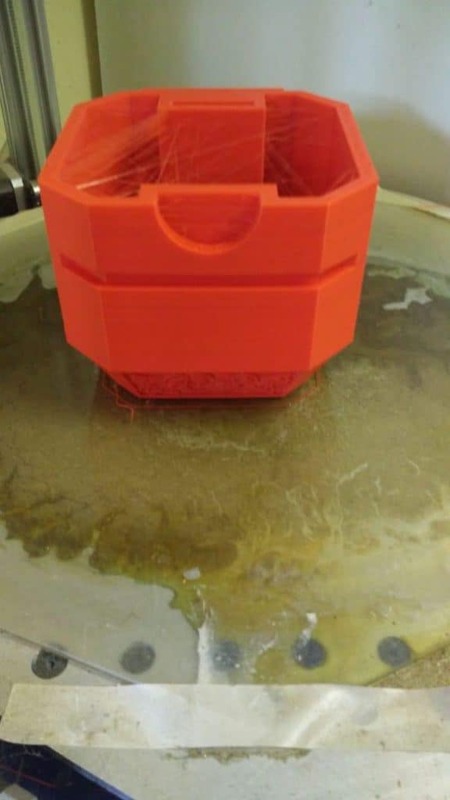 So we had to 3D print a specific stencil with the same pattern. After countless hours trying to get the patterns right for the handle, we managed it. We then overlaid the stencil on the pleather and painstakingly cut it out. Thereafter, we used some more epoxy to stick the pleather perfectly within the handle’s design. The end result was a hammer worthy of Thor himself. However, what is an accomplishment without some tragedy? The night before Comic Con Africa, we showed Hans the Mjolnir. It was an exciting night for all of us. Not only was he super impressed with our handiwork, but it was also our first ‘commission’. With that said, we did not take into account that the hammer was not meant to be swung around – even lightly (oops). So when Hans gave it a well deserved twirl… there was a crack, and all that was left in Hans’ hand was the handle of the hammer. The hammer’s head went for a quite a serious tumble too. With less than 24 hours to go until Comic Con Africa, Kyle and I had to think fast. We took the hammer home and quickly came up with the idea of using epoxy (the stuff that holds dreams and hopes together) and dell rods. We drilled holes through the structure of the handle bits that broke, and through the head of the hammer. We then squeezed in epoxy and the dell rods. We left it to dry, and prayed to Odin for it to work. Thankfully, it did! The hammer lasted for the entirety of Comic Con Africa. Well, almost. There was one incident where somebody wanted to test its strength by smashing it into the floor at the expo. Unfortunately the floor won that round, but being in a place full of cosplayers, Hans was able to mend the broken hammer at the Cosplay Hospital. Once again, some super glue did the trick and made it good as new. Later that evening, we all went to Starbucks at the Mall of Africa. 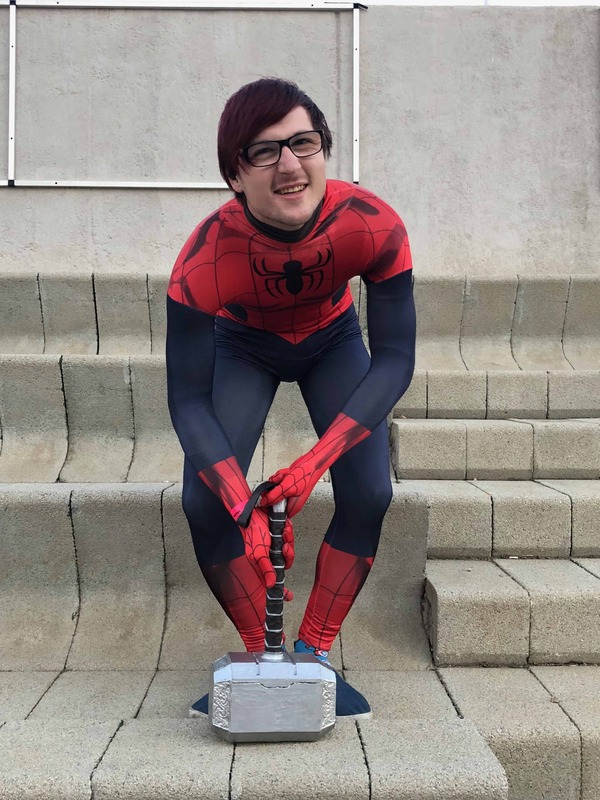 The baristas were excited to see us all in cosplay and asked to see Mjolnir. Hans stressed that it was fragile, but sadly his words went unnoticed. The staffers broke it in two, and that was the end of Mjolnir – just like in the film, Thor: Ragnarok. 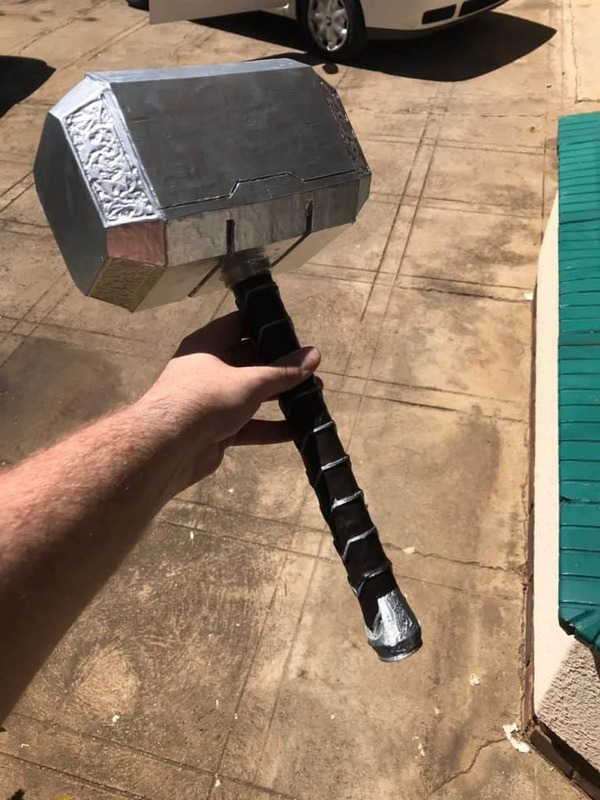 I guess for next years Comic Con Africa, we are going to have to upgrade from Mjolnir to Storm Breaker… and hope for the best. Note for all non-cosplayers: Cosplay props are used to enhance the outfit and are not to be used as actual weapons of mass destruction. 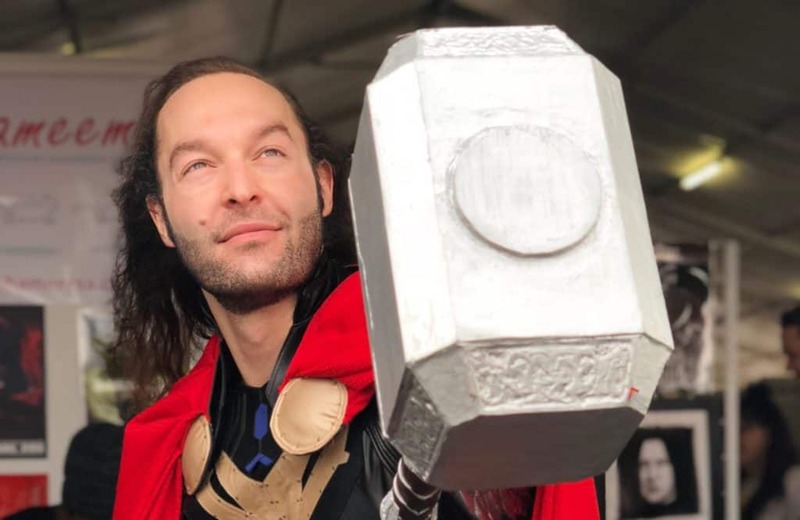 Please keep this in mind the next time you see a cosplayer with a Mjolnir or some other prop – do not handle it roughly or attempt to smash it. Please and thank you! When not in a game of Overwatch playing as a D.Va main, Taygan can be found creating new universes in Minecraft or losing himself in various Anime worlds. 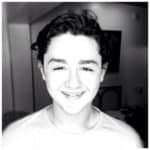 He is a natural techie at heart, and thoroughly enjoys building weird and wonderful contraptions - some ingenious, others that explode. Next articleThe Golf Club 2019 Review: Almost better than a hole-in-one!